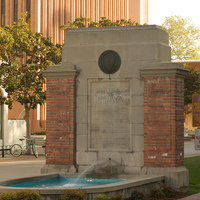 Trousdale Parkway is the main thoroughfare on campus, running from Jefferson/Hoover to Exposition. What was not great: Holding the career fair outdoors when it rained. Maybe have a rain location in case this happens? Pretty intimidating. DIdn't really use it as a resource. Inviting companies and helping them set up stalls is all great. But the event's success or experience just doesn't depend on that. People were cutting lines as they wish! And recruiters are helpless too. I would strongly say this is the problem that management has to own it and are responsible to. I worked as VGSA CS senator last semester and received similar complaints from students during surveys and on offline. When I tried to address them on board there was no action. I was told we will plan town hall meeting and all but nothing progressed. In fact, I even won the election this time but declined it because having power and being helpless is sick or may be I am just not capable of convincing management to take action on it. Eitherway, simple solutions to address this problem could be arranging queues with ropes or so for big companies or start token system which can be collected when entering the queue so at least student can argue that he was in line before the person who is trying to cut line and give lame reasons saying I went to washroom/went to pick a phone.